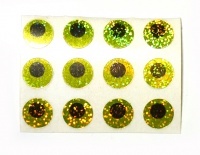 These Flat Stick-on Eyes feature an adhesive, pre punched, flat eyes for adding to lures and boobies etc. 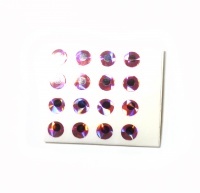 Stick on and secure with varnish for best results. 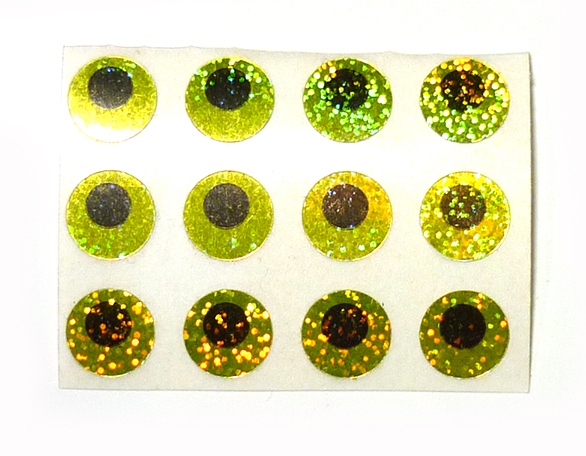 Holographic self adhesive eyes that are bright and very lifelike.